This guide refers to a Netcomm NB6PLUS4W router, but will apply to most Netncomm routers in general. 1. 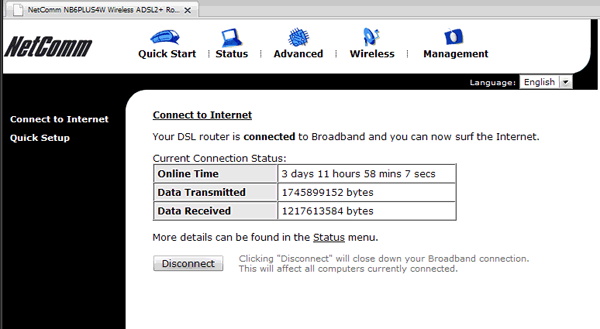 Visit the router's IP address in a new browser window. 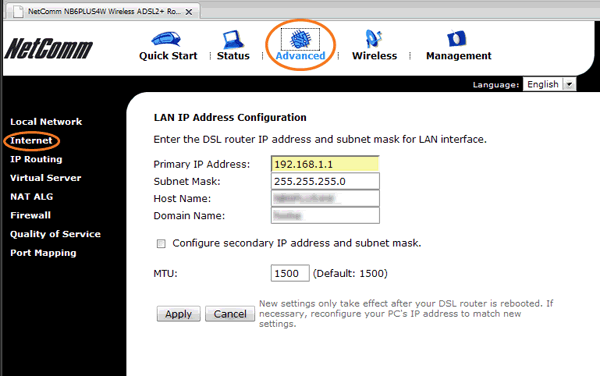 http://192.168.1.1 is the default Netcomm router IP address. 2. Enter the Network password. The "Enter Network Password" window will appear. By default, the username is “admin” and the password is also “admin." 3. Navigate to the Internet Tab. Go to the “Advanced” tab and then click “Internet” on the sidebar. 4. 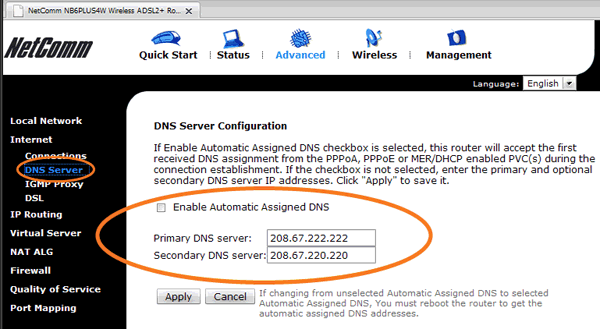 Configure Your DNS Settings. 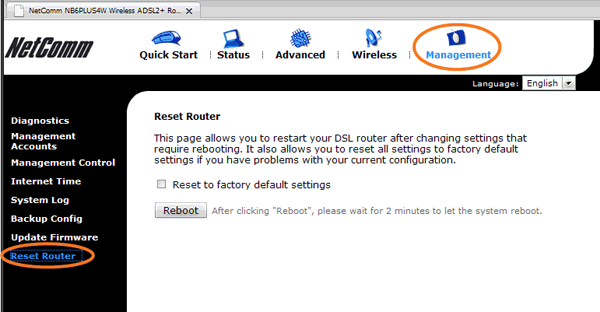 Proceed to the “Management” tab and then to “Reset Router” in the sidebar. Ensure that "Reset to factory default settings" is NOT ticked. Once your router has rebooted, we highly suggest that you flush your DNS resolver cache and web browser caches to ensure that your new DNS configuration settings take immediate effect.